Now serving Northwest Ohio including the Findlay, Tiffin, Fostoria, Lima, Bowling Green and greater Toledo area from our new location in Henry Township just across from the CSX Intermodal Terminal near North Baltimore, Ohio with over 30,000 square feet of warehouse and additional warehouse space planned. At Willmar International we understand what your expectations are, and we’ve built our services around the needs of businesses like yours. It’s important that your products are stored in a safe, clean, and secure location. It’s also important that they are handled properly and easily accessible when orders need to be fulfilled. Warehousing is only one aspect of the services we provide to our clients. We know the process from beginning to end, the expectations of all those involved, the regulations, the cost concerns, the customer satisfaction desires. 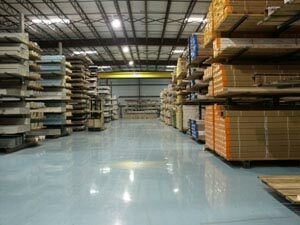 This gives you a distinct advantage when using Willmar for your warehousing needs. We don’t just toss your goods on a shelf and forget them. We know the tracking, the security, and the prepping needed to complete your orders and will handle them proficiently. Please contact us today to discuss your warehousing needs and begin receiving friendly, reliable service you can count on!